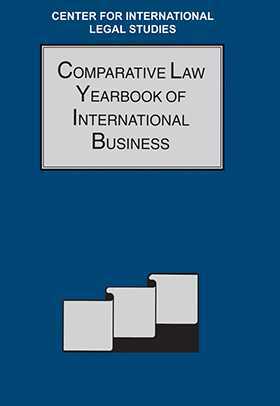 The twenty-second volume of the Comparative Law Yearbook of International Business contains a section dealing with the current situation regarding computer law in Luxembourg, Hungary and Greece and another describing the ever-changing area of telecommunications and information technology in the United States. A further section covers aspects of intellectual property law. This section contains explanations of the intellectual property rights available in Peru and Israel, and it discusses the Agreement on Trade-Related Aspects of Intellectual Property Rights and the Fifth Community Framework Program of the European Union. This wide array of topics will provide valuable information and interesting reading for both practitioners and academics in the commercial law field.